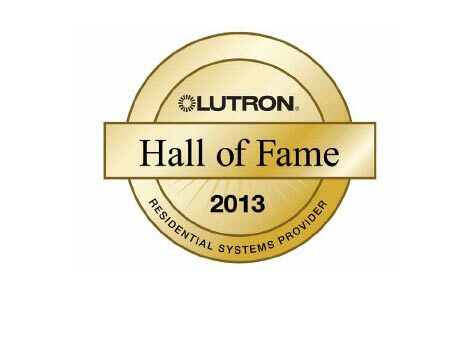 Denver, Colorado (September 26th, 2013) - The Automated Group is pleased to announce it's been inducted into the Lutron Hall of Fame. The leader in energy-saving, wireless light and shade control, Lutron Electronics created the Hall of Fame to recognize excellence and dedication in the marketplace. The announcement was made in Denver, Colorado at the Custom Electronics Design and Installation Association (CEDIA) Expo. Potential inductees are evaluated on several components: years of doing business with Lutron, loyalty, reputation, dedication to their business, market expansion efforts, execution of initiatives, project innovations using Lutron products, and revenue growth. "This esteemed list of Lutron customers truly represents the best of the best in this industry," said Michael Smith, vice-president of residential sales at Lutron. "These companies are not only valued by their clients, but also respected by their peers. It's an honor to have them representing Lutron in their local markets," said Smith. Unless you are an expert in both wine storage and home renovation, it is not a good idea to just jump into creating the cellar yourself, as there is often a fair amount of preparatory work that needs to be done. The best first step is to contact a specialist in wine cellars and displays. They can advise you on the ideal atmospheric conditions for your wine, including temperature and lighting. For example, the presence of vibrations is an aspect that amateurs often overlook, and this can affect the quality of the wine over a period of time. Remember: the primary purpose of the wine cellar is to store your wine in an ideal environment. 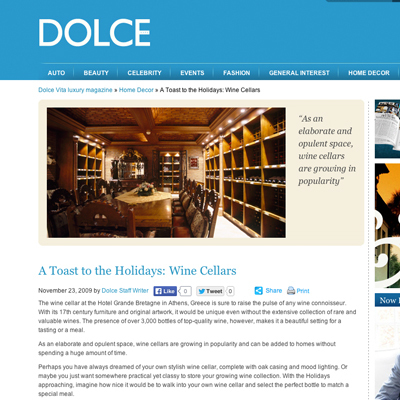 One company that knows all about the ins and outs of wine storage is Tuscan Cellars in Toronto. It specializes in converting existing rooms into elegant wine cellars, which, despite the word ‘cellar,’ are not always located in the basement of a house. The process starts with a consultation with a designer, who will use your specific situation – the room you wish to convert, the number of bottles, the material you wish to use – to propose a stylish and sophisticated wine storage solution. They will then take care of all the construction and installation, down to the last detail.